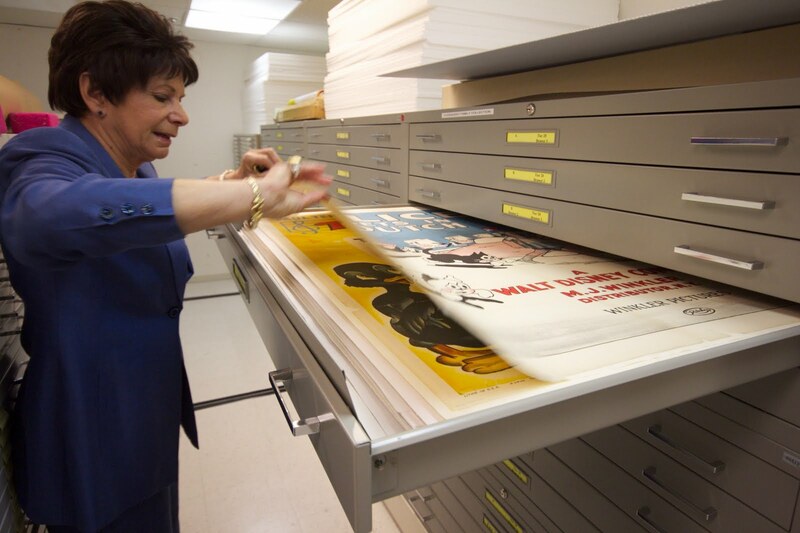 The graphics arts stacks also holds the 12-1300 strong Edward Mapp collection of separated cinema from segregation era films, the 1700+ Cudequest collection of twentieth century animation posters, and a variety of modern poster prints. 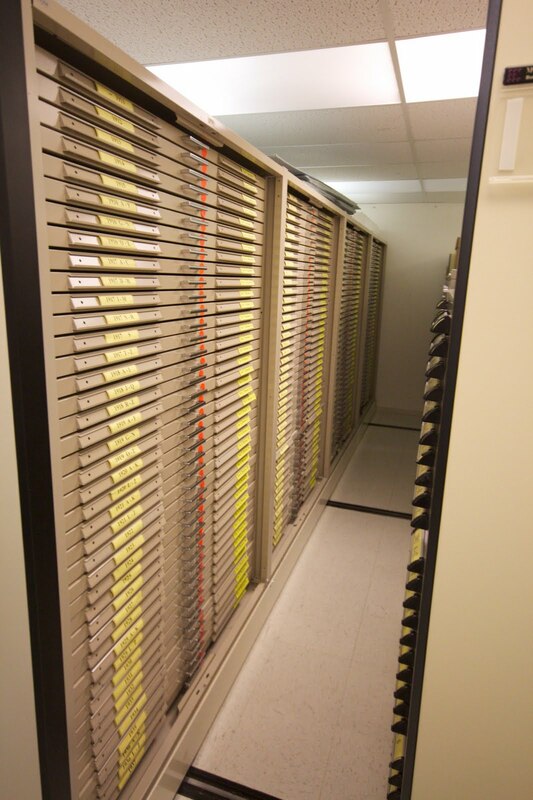 Hardcopy material isn't coming in like it used to. Most press kits are digital, and while standards are improving, they are still quite low quality photographically. The Library is working with several organisations to arrange better quality high-res press material for archiving and historical purposes. I guess when you are the preeminent destination for an industry's history, you actually can help shape publication standards. Also in the stacks is this swathe of posters that arrived folded, and have yet to be processed, mended and laid out in drawers.